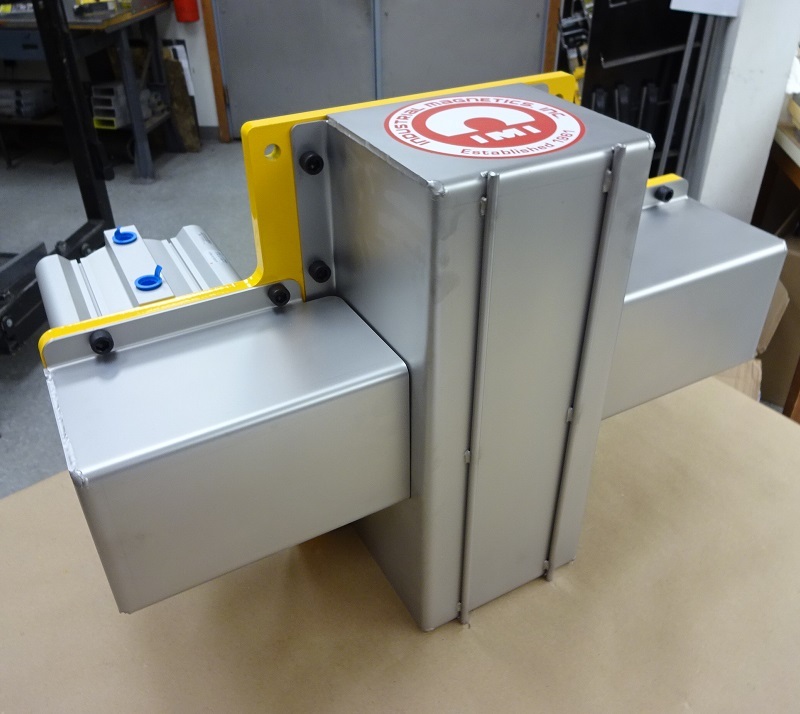 For Immediate Release: Posted On 10/11/2017 By Industrial Magnetics, Inc.
Industrial Magnetics, Inc. is now offering new design configurations for their permanent magnetic, Air-Actuated Sheet Fanners used to separate steel sheet stock. The new options aid customers who experience space constraints, or challenging installation requirements, when designing or retrofitting their sheet metal handling applications. IMI’s Air Actuated Sheet Fanner utilizes one or more air cylinders to move the permanent magnet, located inside the fanner, away from the face of the housing, essentially shutting “off” the permanent magnetic field. The new design configurations now allow the air cylinder to be positioned in locations other than the rear of the magnetic housing, resulting in less of a depth requirement in the overall design of the work cell. For more information on IMI’s Air Actuated Fanners and custom design options, please contact their Automation Group at 888.582.0823.